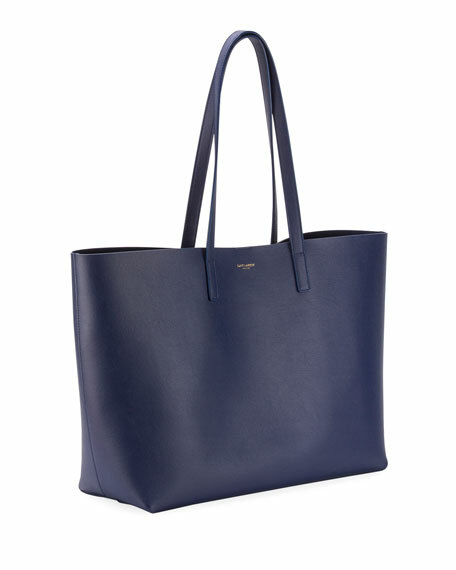 Saint Laurent semi-structured leather shopping tote bag. Flat top handles; 9" drop. Hanging YSL logo tag from handle base. Interior, one leashed zip pouch. 11"H x 14"W x 5.25"D.
Made in Italy of French materials. 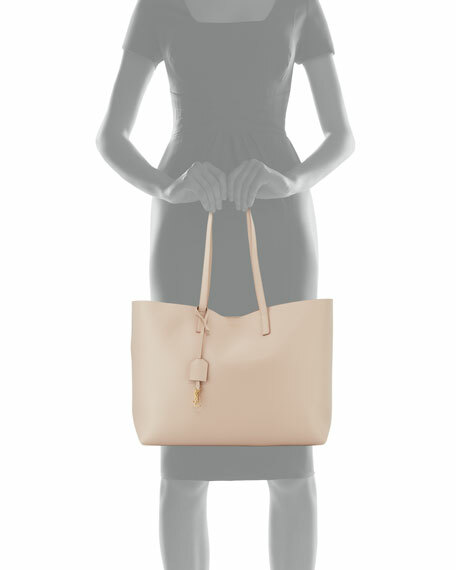 AllSaints wide, lightweight tote bag in smooth leather with micro-stud polka dots. Strong shoulder straps, 11" drop. Open top with magnetic closure. Interior, zip pocket. 12.2"H x 15"W x 7.8"D. "Kathi" is imported. 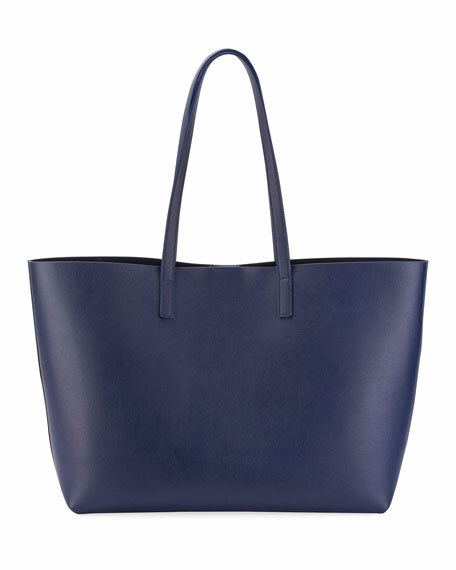 Mansur Gavriel vegetable-tanned leather tote bag. Available in multiple colors. Stiff matte leather structures lightweight shape. Thin shoulder straps, 8.8"